Most 9Mobile users are flexing 9Mobile cheat with Yoga vpn and Friends are asking how they can enjoy theirs this month of December 2017. Good news, MTN cheat is back and better with MTN YouTube which allows you enjoy non-stop YouTube video streaming and downloading using the latest YouTube Go app and your MTN night plan. You will agree with me that free browsing cheats are gradually fading out as it’s no longer what it used to be, although 9Mobile cheat is still blazing as at the time of this post. But at the same time, I would like to appreciate our network providers for making available cheap data plans and options which one of them is the N25 for 500mb night plan from MTN. Don’t also forget the Airtel Opera Mini Social Bundle Plan and so many other data plans available for us to choose from. So those of you that loves YouTube, this is your time to watch and download videos as you like via MTN and the YouTube app. Before I give you the procedures, let’s take a look at other necessary information. Remember this cheat works only at night between the hours of 12am and 4am. Note: it’s required you migrate to MTN Pulse Tariff by dialing *406*1# (if you are not yet on pulse). After subscribing to MTN Night Plan, ensure you exhaust the Night plan (500MB) before 3:30am or better still before 1am. After you have exhausted the 500Mb, wait for about 2 minutes to start the YouTube Go app. Now open your YouTube or YouTube Go App and stream or download YouTube Videos Unlimited Till 4am. 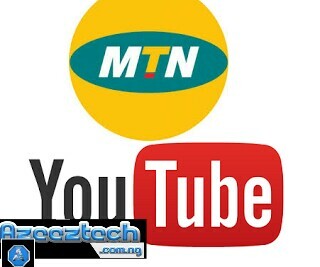 To download YouTube Videos using MTN Free Browsing Cheat Using YouTube or YouTube go app. The cheat stops once it’s time for the MTN Night plan to stop. The interesting part is that it’s unlimited so no data cap. This is usable only on YouTube app and the newly introduced YouTube Go app..
Is it still working? I tried but it refused to connect.